Starting up your very own website can definitely be a challenge, especially if it is your first time doing so. However, there are themes that could provide with an easier overall experience while making your site. Templates that have functionalities and other features, that aid you in building that web page of yours. Things can certainly be a challenge when creating your website from the ground. Fortunately, there are WordPress themes for startup to help you with just that. 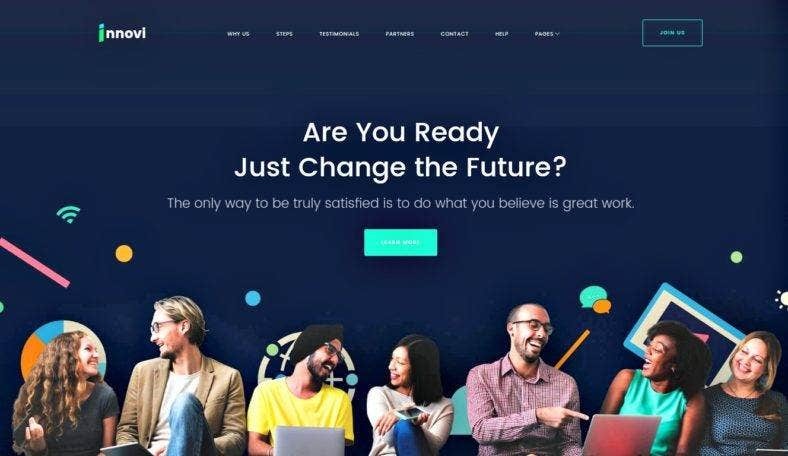 These website templates aid individuals who are still in the phase of creating their sites, be it for education, travel, photography, or business purposes. Academica PRO 3.0 is a multi-purpose theme that is ideal for those who plan on making a website that is for Social, or Non-profit sites, as well as Corporate and Education based sites. It has features like visual customizers, to enhance the aesthetic quality of your site. It also has 4 different page, and post, layouts that you can use to further personalize the theme to your fitting. You won’t have to worry about it being viewed on any devices because it is both responsive and retina ready. The template has been enhanced to support any device. Balance is a minimalistic and flexible theme that is mainly designed to amaze visitors. 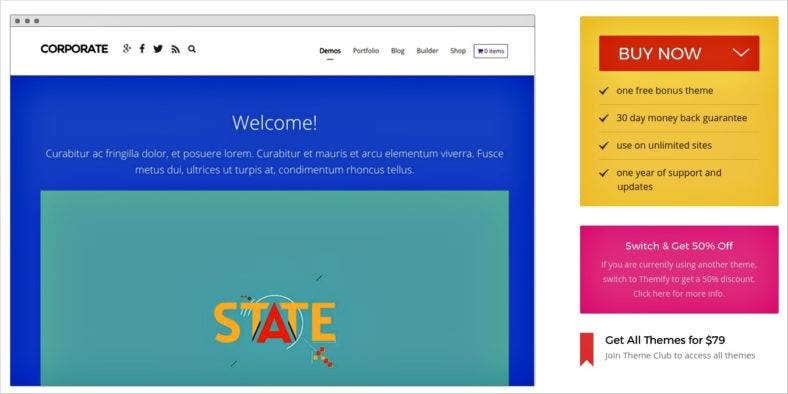 To help you start out in making your own website, the theme is equipped with a builder layout that has different widgets, meant to aid in the functionality of your webpage. You won’t have to worry about your visitors using different devices, like mobile phones and tablets, because the template is 100% fully responsive, making it a trusty responsive website theme. To make the whole experience even simpler and easier, the theme has a drag-and-drop page builder option. You also have an unlimited amount of customization and 6 color schemes. If you’re looking for a powerful and flexible education WordPress theme that has everything you need to build you website, then Presence is definitely the website template for you. With the ability to import designs from the theme’s pre-made layouts and a drag-and-drop page builder, you will definitely have all that you need. It can be used for a plethora of sites, ranging from music, hotel and online shopping sites. It sports 6 predefined color schemes, is WooCommerce supported and has 4 blog layouts that you could choose from. It works perfectly with numerous plugins, to help enhance the overall functionality of your webpage. Videobox is one of the many flat responsive WooCommerce themes out in the market. Not only does it provide your visitors with an amazing experience, but it also lets you add high quality in your site, whether they’re from Vimeo, YouTube and many more. To further help make your site making experience easier, the theme automatically creates the thumbnail for the video you are going to put on your web page. It has a widgetized homepage, letting you use sliders to highlight featured photos, content, and videos. It sports multiple header layouts, to give the freedom to personalize the theme to suit your needs. 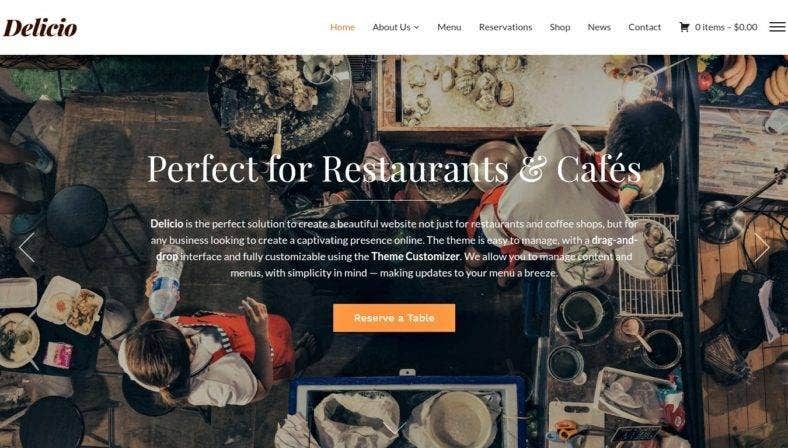 If you are thinking about starting up a restaurant business and you are looking for a reliable restaurant WordPress theme, then Delicio is certainly the one you are looking for. The theme is fully customizable and sports a drag-and-drop interface to help make your website building experience even simpler. The website template is 100% responsive and can be viewed on any device, whether it be a mobile phone, tablet or computer. The live customizer lets you make changes to the theme and view them in real-time, lessening the hassle of having to reload the page, which ultimately lets you save time. It has 14 header layouts that you could choose from, giving you complete freedom to customize the theme to your liking. For the shop features, it has a wish list, Ajax cart, image zoom and product sharing capabilities, all of which provide visitors with a pleasant experience, while surfing through your shopping webpage. With music being a very prominent form of art in the world, it is only natural that people would want to make a website for it. 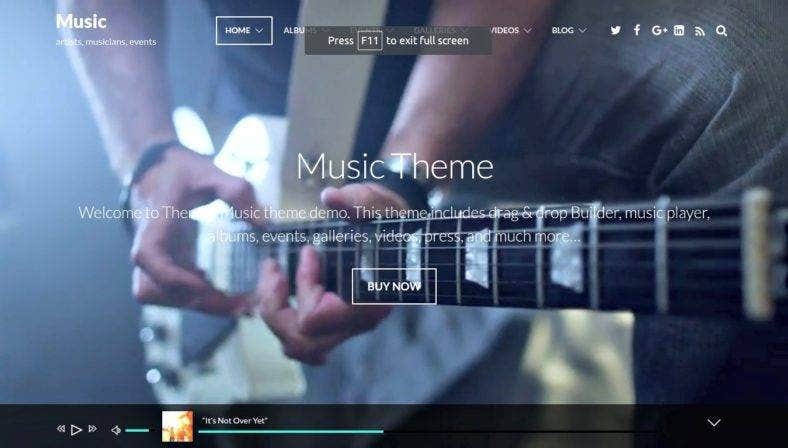 If you are someone who works in the music industry and is required to make a site for a musician or a band, then Music is the WordPress music template that you need. With the theme, you have unlimited layouts to choose from, a 6 Column Masonry Gallery, a full-width video background and a footer music player too. It has custom header background and menus as well, to help you personalize your site even more. Corporate is a professional theme that sports a sleek and modern look and is commonly used for individuals who would like to make a website for their company, enterprise, or business in general. The theme is fully responsive and is retina ready, able to adjust to any screen size, without sacrificing the web page’s visual qualities. You can customize everything from the logo, sidebar widgets, and Google Fonts, without having the need to program any sort of codes. You can add animated background colors to the site, making it more appealing and alluring. It also has over 60 animation effects that you could utilize for your site. If you’re looking for a theme that has a fluid layout and is 100% responsive, then you should definitely try Tisa. But if you think that that is all this vintage WordPress theme has to offer, then you’re definitely mistaken. It has a bunch of other features like 6 theme skins, Child theme support, has up to 4 footer widget columns, and is coded with HTML5 and CSS3. Aside from these, it also has a Lightbox gallery, which requires no plugin whatsoever, a list view and multiple grid view layouts, and a welcome message, so you could greet your visitors. Fullscreen is a minimal WordPress theme that can be used for individuals who are looking for a wonderful theme that could make their website become the perfect photo gallery. It offers features like having a couple of social media icons you could add to your site, has 7 theme skins, a fully responsive layout, and two WordPress gallery display alternatives: Lightbox or Photoswipe. You can customize the “welcome message” portion, and you have a bunch of grid view layout and various list options. You can even use an iFrame window, as well as videos and popup images, thanks to the Lightbox media support the theme has. It has cross-browser compatibility for all the major browsers in the market, has unlimited levels for the drop down menus and sports an Easy Options Framework. You will also be greeted with a plethora of easy-to-use customization options, so you won’t have to undergo a hassling and grueling website building process. RoadFighter is the perfect tool that you anyone could use, to help them build their very own business WordPress template. 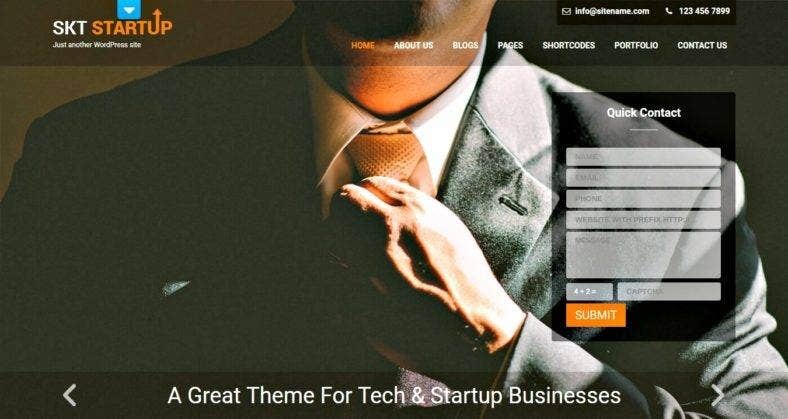 The theme can be used for any kind of business and has a bunch of features that makes it a powerful and unique theme. Things like 12 different color skins, 4 Column widgetized footer, Google Maps integration and a neat WordPress theme slider. It is also fully responsive with numerous devices like a smart phone, tablet, and computer. If you are not really in the mood to personalize the theme, you can just use the built-in templates for your convenience. If you’re looking for more of like an informative to highlight business services, product highlights and the company profile, then ButterBelly is the one you are looking for. This business WordPress theme offers 8 unique color styles that you could use to improve the visual quality of your website. It sports various social media icons such as Twitter, Facebook and Google+. Though it focuses more on providing information, it still has WooCommerce compatibility and can be used to make an online shopping site. It is also SEO optimized and is retina ready, becoming both searchable and can be viewed on different devices. Compass is the type of theme that puts emphasis on being able to attract more customers to your site. It is also equipped with stunning animations that adds to your theme’s charm, making it pull more visitors in. It has cross-browser compatibility as well, which should lessen the worry in your mind regarding about your viewers using different types of browsers. You could also add the template’s RTL, short for Right To Left, option to cater languages that use this type of reading format. It has a built-in SEO compatibility as well. With its many features, it’s safe to say that this is definitely one of the best WordPress theme in the market. 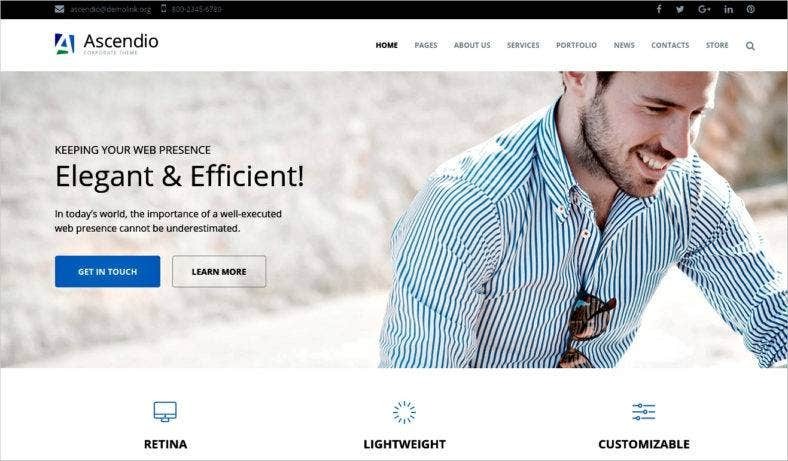 Matrix has a minimalistic design, mainly being a black and white WordPress template, but it provides users with 9 different colors to choose from. It has more than 45 widget positions, 6 image gallery layouts that users could select from and 3 styles of pricing boxes. The theme is also fully responsive and has responsive image galleries and sliders. It has Google Maps integrated as well, which simplifies location related tasks significantly. It also has social network integration, where you would be able to share the future contents of your site to various social media outlets like Facebook, Twitter, Instagram and more. If one of your business projects is to make a website, then you should definitely try Kreative out. The template was made specifically for this type of tasks and is jam-packed with features that can make your website into one of the WordPress themes of the month. Some of the features that it boasts are 8-page templates, a ton of shortcodes that can be accessed by pressing buttons on the visual editor, and the modern design makes it compatible with any kind of business website. You can also change the logo as text or image, change the color palette, style and font size. 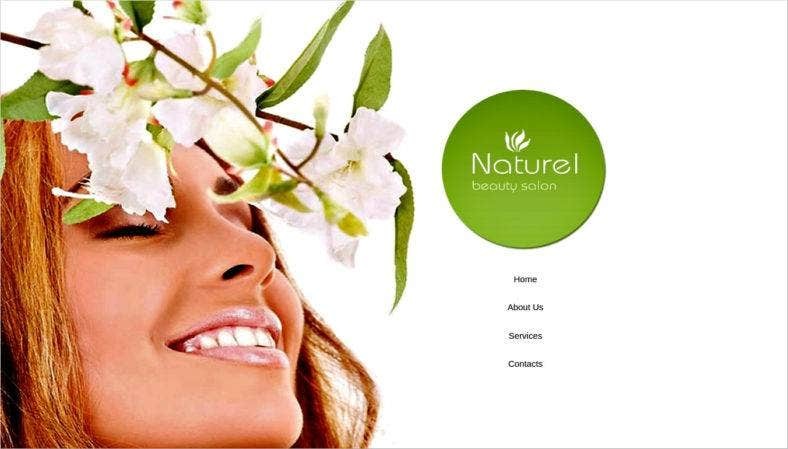 If you’re looking to make your own beauty salon, then Naturel might be the one that you are looking for. 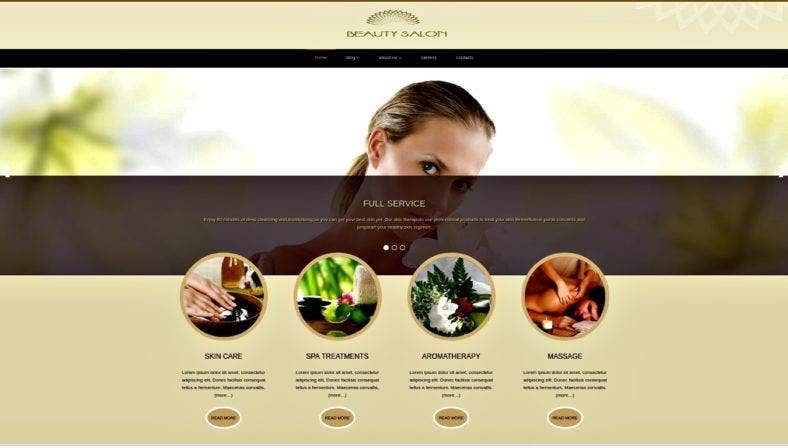 Equipped with many features like 7 AS custom widgets, full WordPress 4.4 compatibility and the design is compatible with any kind of beauty salon website you are planning to create. The built-in sliders can also be used to improve the functionality of your site as well. It also has a Google Analytics form and a quick-start installation package, making the installation process be done in a couple of minutes. This beauty blog WordPress template theme will definitely wow anyone once your site is done. 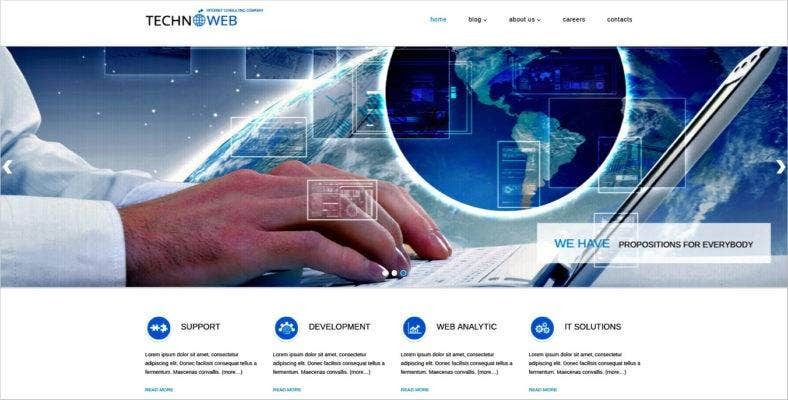 TechnoWeb is a tech blog WordPress template that contains a lot of features that will help you highlight the services and products that your technological website can offer. 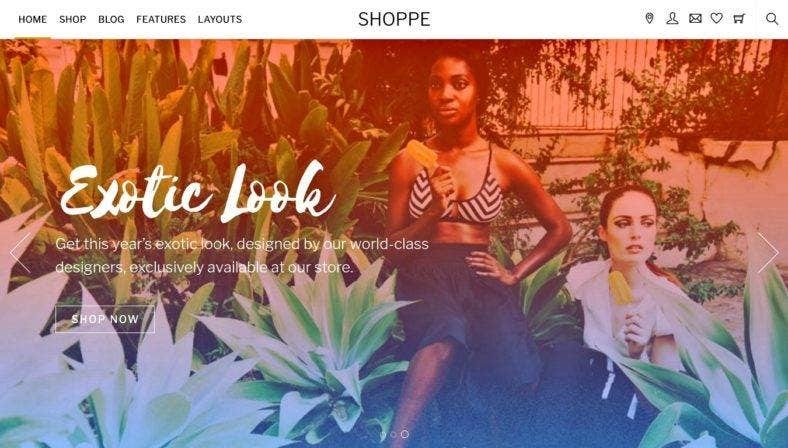 Things like unlimited colors, advanced typography options and lots of shortcodes help with the overall quality of the functionality of your site. Aside from these elements, the theme also offers a fully responsive layout, an SEO ready coding and an easy to install option. It also has custom widgets such as share networks and social icons too. The theme customizer options provide a lot of editing options and it lets you make changes in real-time. If you are looking for a good design concept that you could use, then Beauty Salon is definitely the one you are looking for. The color schemes will perfectly fit the needs of your visitors and provide them with a theme that is aesthetically relaxing. 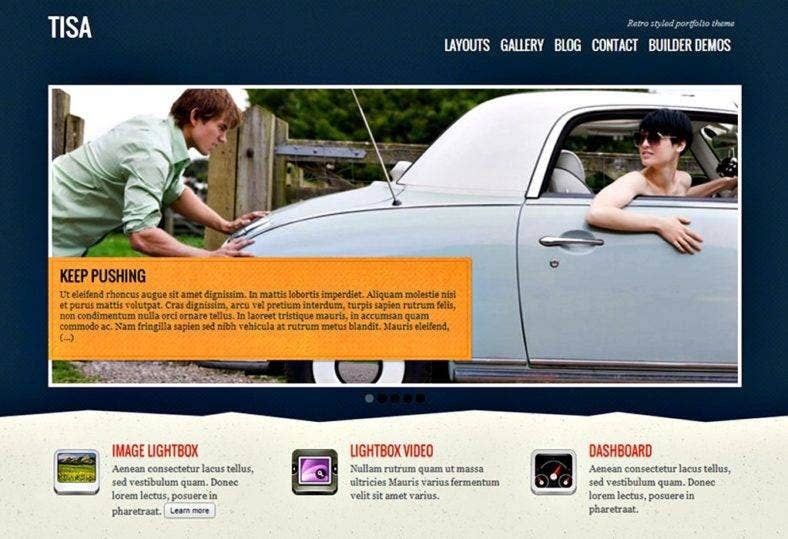 You can also include and use the jQuery slideshow, to make your site look even more charming. It runs on Bootstrap 3, which means it is capable of providing visitors with a site that has a fast performance. This salon WordPress theme will definitely amaze you with how easy you can build your site, and impress your visitors with its functionalities. 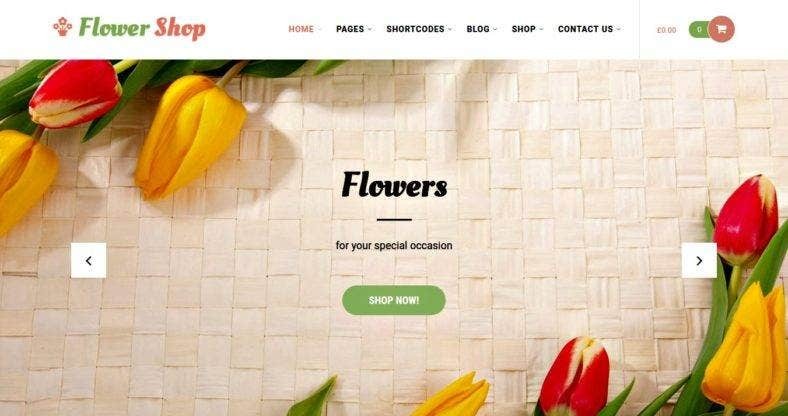 Flowers is an amazing florists WordPress theme that you can use to help you make a wonderful website. The theme uses fewer scripts and a faster loading front end, which means it would be able to provide a faster response. It has a bunch of page builder plugins like live composer, Elementor, and beaver. It is also a responsive template and has been tested for numerous screen resolutions. The simplicity of navigation for this site is amazing that even a novice could use it and have no problem with it. Retina ready is also one of the main advantages that this site has to offer. 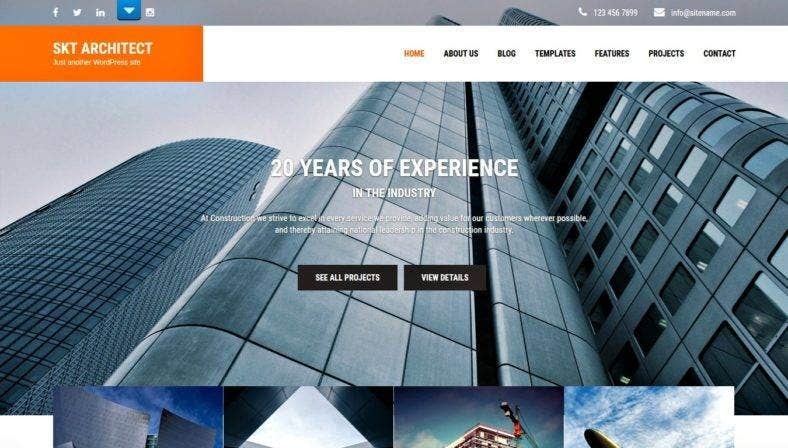 Architect PRO is an elegant architect WordPress theme designed for individuals who work on the field of architecture. It allows users to highlight and showcase the numerous projects that you, or your firm, have successfully done. It sports a Parallax background as well, making your website more attractive and charming for visitors. It is based on HTML5 and CSS3, ensuring that it has a fast performance. It has over 600 Google fonts to choose from, more than 20 addable sections and 500+ font based icons for social media and other uses. This theme will definitely deliver what you need, so you could make your site successfully. 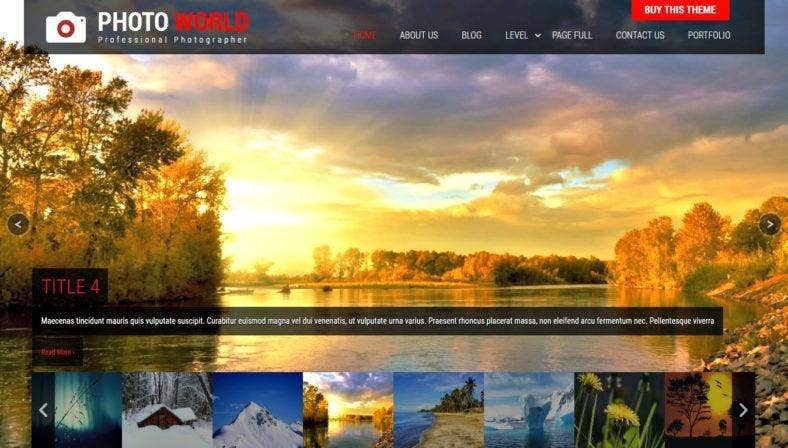 Photo World PRO is a fully responsive photo gallery WordPress theme that has been designed to be viewed on any type of device, be it a mobile phone, tablet or computer. With features such as an elegant photo album feature, opacity changing capability and with shortcodes that can be used virtually anywhere, this is definitely one of the templates that you should get to make your own start up site. Aside from that, it also has other features that makes it even more useful. Things like social icons, gallery plugins, and widgets, your site’s functionality will certainly be taken care of. If you are looking for a top of the line multilingual WordPress theme, then SKT Perfect is definitely the one for you. The theme is compatible with all kinds of translations, like WPML, Polylang and qTranslate. The theme has several blog layout options for its users, all of which can be used to add functionality to your site. The theme is also integrated with WooCommerce and is built on both CSS3 and HTML5. You would get to choose more than 100 built-in shortcodes, along with other pre-installed templates that you could use whenever needed. This is definitely a theme that anyone, who is trying create a website, should get. Multiple page styles are possible as well, and it is also retina ready, being able to fit in any screen size without losing its visual quality. If you would want to embed things like podcasts, videos, and maps, you can easily finish that task as well, thanks to the theme’s WordPress codex and standards. Ascendio is the kind of theme that will not only help you make a website, but will go the extra mile and help you with some of the processes for creating corporate themes for startups and small businesses. It is equipped with easy-to-use tools, perfect for those who are not so techie. You won’t have to be a programmer since the template doesn’t require you to use code for the changes to work. You won’t have to worry about having to reload the page to view the changes as well because the theme has a live customizer, which gives real-time results. 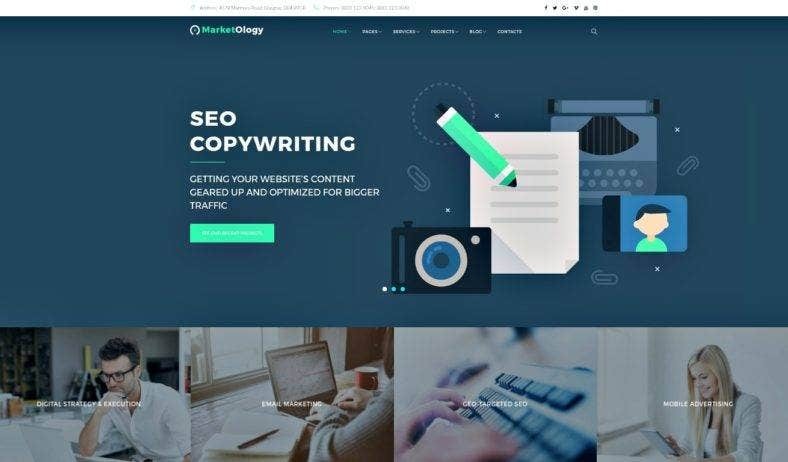 MarketOlogy was specifically designed to function as an SEO WordPress theme, which aims to increase your site’s searchability. It is perfect for marketing agencies, or individual marketers, trying to advertise a service or product. The theme is equipped with custom widgets like a post carousel, slider, and social media related stuff. You won’t have to worry what device site visitors are using as well because the template is 100% fully responsive to any device. Of course, it wouldn’t be an SEO theme if it wasn’t SEO friendly and have codes that have been optimized to cater Google’s website guidelines, effectively helping your website to reach the top rank. 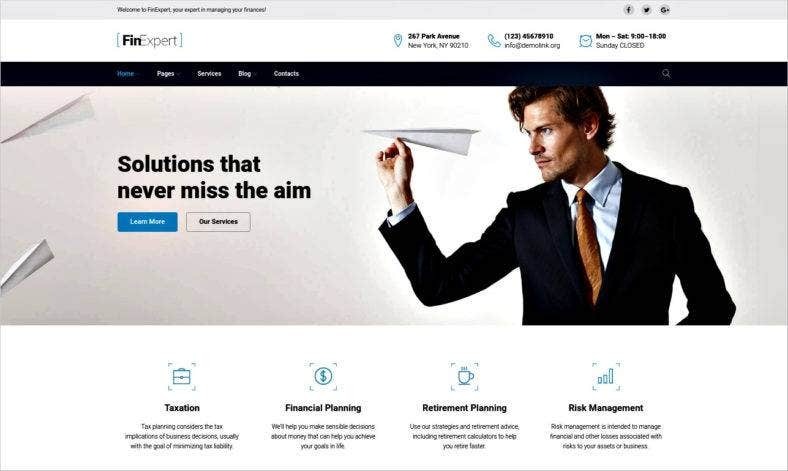 If you are someone who is qualified to give financial advice and you happen to be in the market looking for a theme that could help you make a financial advisory site, then FinExpert is just what you need. This finance WordPress theme lets you with important content modules such as a call to action, blog and image, all of which can be used to provide you with a way to share your financial advices. You are sure to have a pleasant and easy experience with this theme, thanks to the drag-and-drop page builder that the template has. You also get to choose from over 500 Google fonts, thanks to its Google Fonts integration. 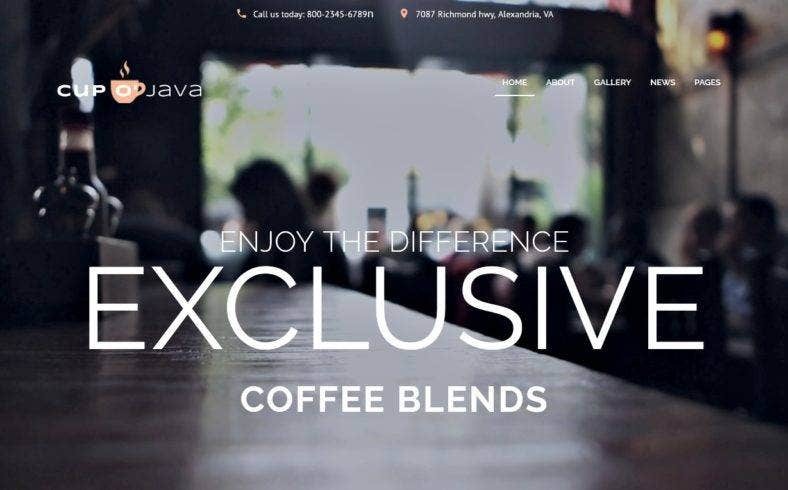 Coffee shops are now becoming rampant and if you are looking to join in with the many entrepreneurs offering caffeinated services to people, then Cup o’ Java is the theme that you are looking for. It is one of the many WordPress templates for cafe and coffee shop, which will definitely impress. One of the most stunning features of this theme is its gallery. It is able to display high-quality images and attract visitors with its sheer beauty. It has been designed by top industry leaders as well, embedding in it SEO friendly codes, a fully responsive design and over 500 Google fonts to choose from. Innovi was designed for creative digital agencies who plan to start a website dedicated for artistic people. It could be used for graphic designing, web designing and other digitally artistic endeavors. It provides multiple layer options for its users, letting them personalize the theme to fit their requirements. 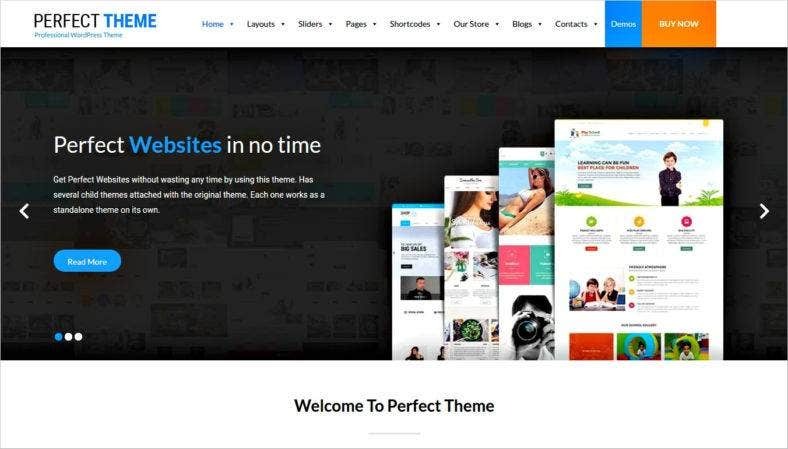 The theme has been crafted to perfection, making it a neat and modern creative theme. If you deem it necessary to add or transform it to an online shop, you can easily do that in just 5 minutes because the theme is Ecwid ready. The codes have also been cleaned and structured properly to comply with the latest web-standards. You will most likely encounter multiple challenges and difficulties during your quest to create your own start up site. You might even be held back by various mishaps and unprecedented reasons. But these are just natural scenarios and that’s why these themes are here. They help lessen the hassle, stress, and complexity of the whole process. These themes were designed so you could enjoy a pleasant experience. You could even say that they could be some of the best landing page WordPress theme that the market could offer. Starting up a website, business, or any kind of endeavor, is never easy. However, there are always themes that lessen the load, simply waiting to be found.